Island Hopper Vacations was established 29 years ago as the outer island specialist for the Cook Islands and today is the largest inbound tour operator in the Cooks. With 3 offices including a retail travel agency, an airport arrival office and the Reservations & Customer Service division, Island Hopper Vacations continues to offer the most comprehensive tourism product range of the Cook Islands. Our overseas representatives, along with our local friendly staff, ensure the highest standards of operation in the tourism industry. Island Hopper Vacations provides a complete product catalogue of Cook Islands activities, tourist attractions and accommodations with competitive market rates. Island Hopper Vacations commenced business in May 1990, in the premises now occupied by the Dive Shop with two staff, Robert Skews, the current Managing Director and Kathie Robertson. The name Island Hopper was taken from Air Rarotonga who had used that brand for some time to sell their outer island products. When we commenced operations in 1990, we decided to offer a new level of service and support that had been requested by many of the overseas wholesalers.  We have now established a profile as one of the leading inbound operator in the South Pacific. Island Hopper Vacations provides you with the best accommodation options, guided tours and excursions and many other services throughout our islands. We hope you choose to holiday with us here in our little paradise! We have selected our best images to use for your brochures, flyers and websites. You must be a registered trade partner to access this library. Your login is the same you use to make a reservation with us on our websites. If you need a login please contact your Turama partner or click on Register. At Turama Pacific Travel Group we speak more than one language! Our knowledgeable language interpreters are available and can offer assistance during Meet & Greet, tours and excursions and throughout your stay. Just 32 km circumference, Rarotonga is easy to explore! The Cook Islands offer a range of accommodations suitable for every taste. We provide the most comprehensive property listing to meet every need. From budget to luxury, holiday homes to boutique hotels, Rarotonga will be your own private island resort! Our options also include Aitutaki, Atiu and many more of the outer islands.